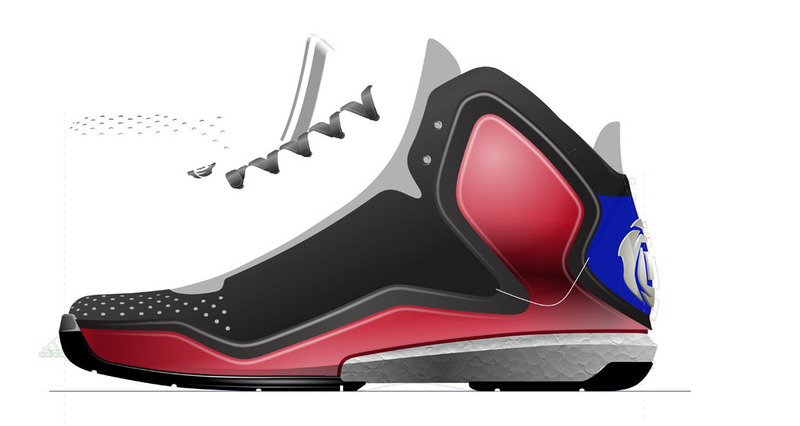 The shoe will be the first signature model to feature Boost cushioning, an industry-first technology designed to deliver maximum energy return, responsiveness and comfort to players. 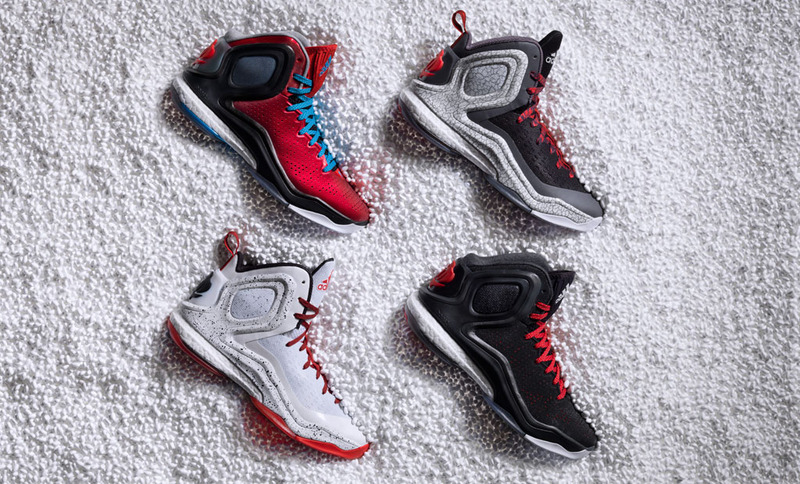 At an event in Las Vegas this past July, adidas, Advanced Category Footwear Designer Robbie Fuller and Derrick Rose unveiled the three-time All-Star's new signatures shoe — the D Rose 5 Boost. 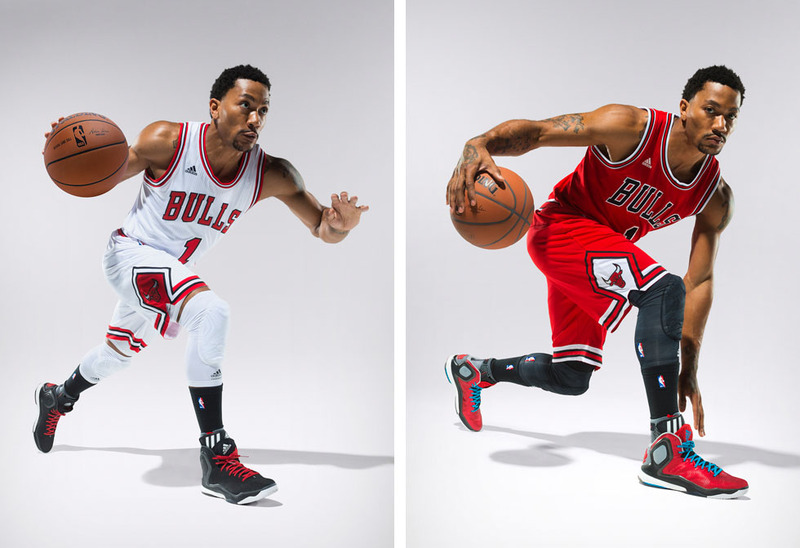 "Having the Boost cushioning in my new signature shoe makes it the most favorite of mine that we've ever done," said Rose. 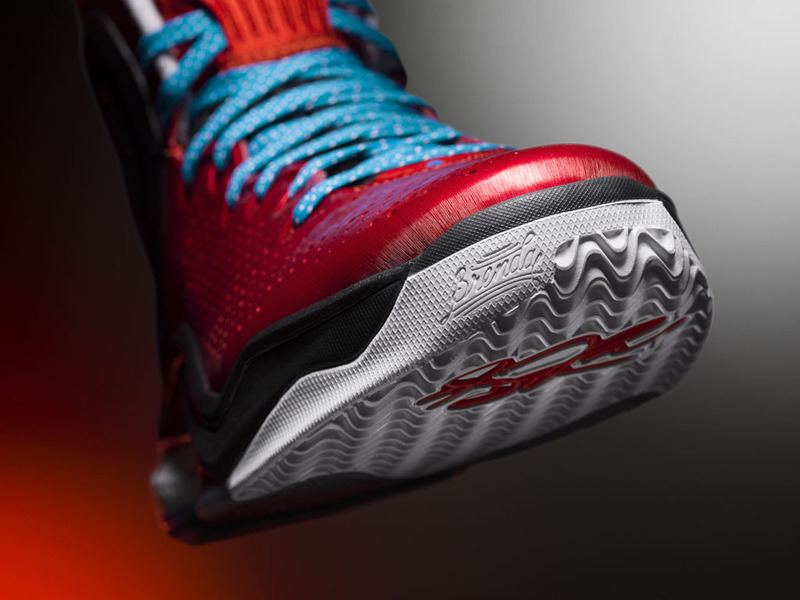 "I've played in them for a couple months, but every time I put them on it feels like a new shoe and it's the most comfortable shoe I've ever worn. 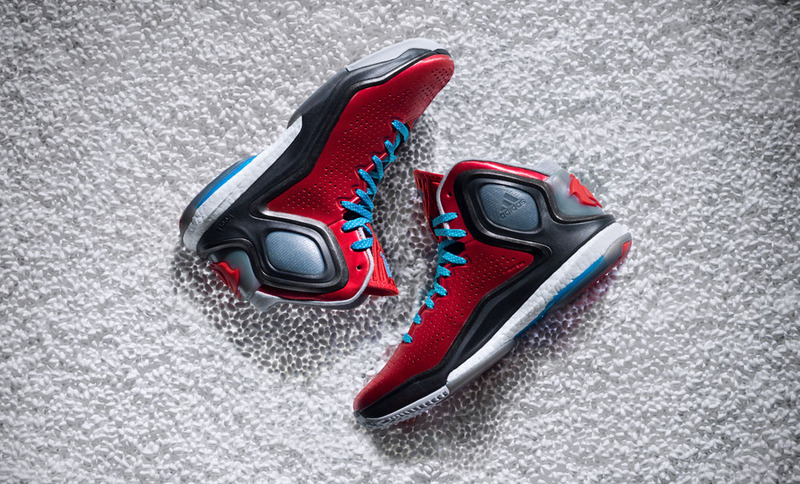 Now, I can't imagine playing without Boost in my shoes." 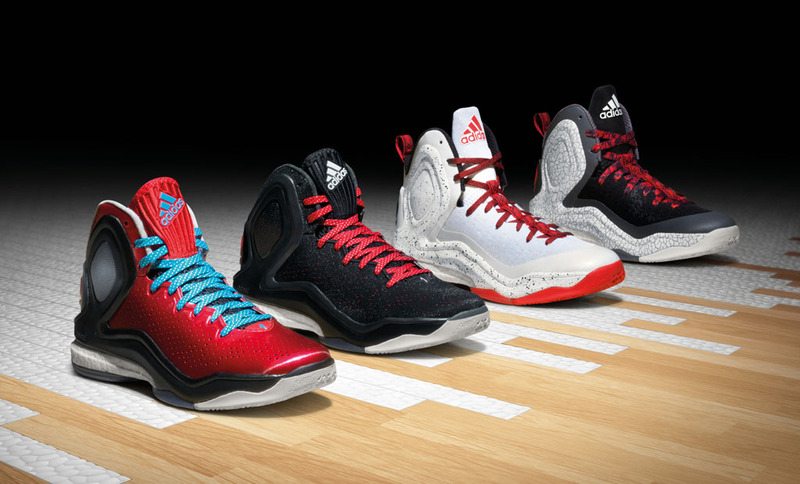 Boost was tested extensively over the past year by NCAA and NBA players. 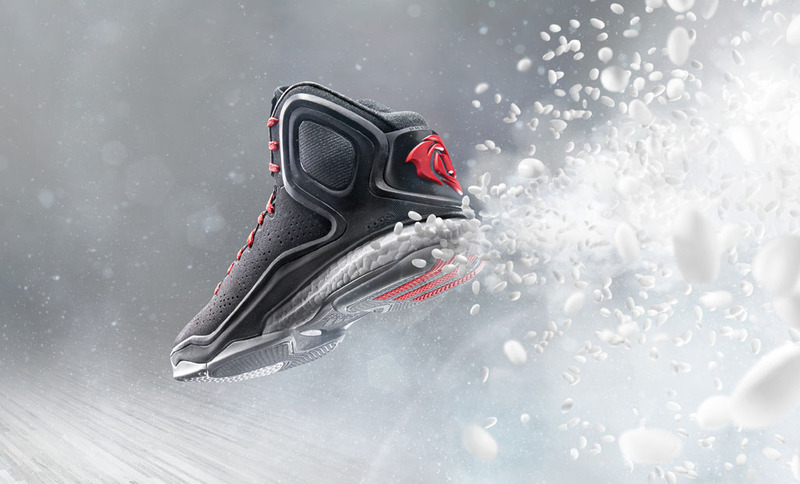 Athletes put the shoes through drills and game situations and reported universally positive feedback, consistently preferring Boost to an EVA alternative. 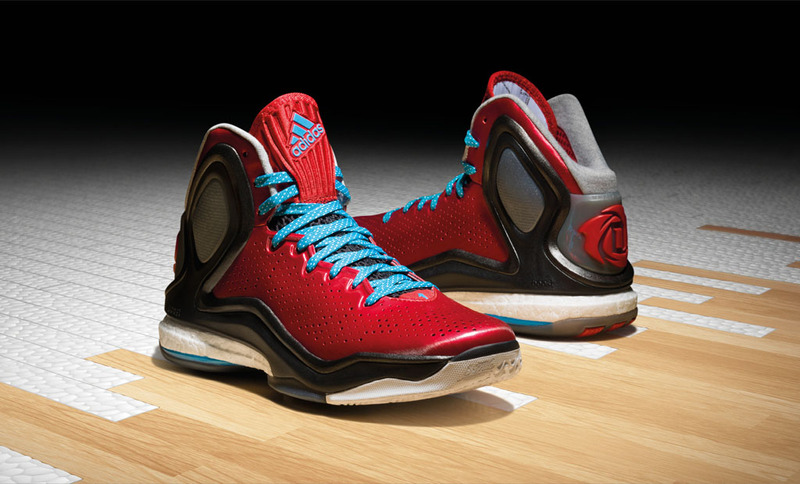 "Boost is a groundbreaking development, not just for adidas Basketball but for athletes across all sports," said Fuller. 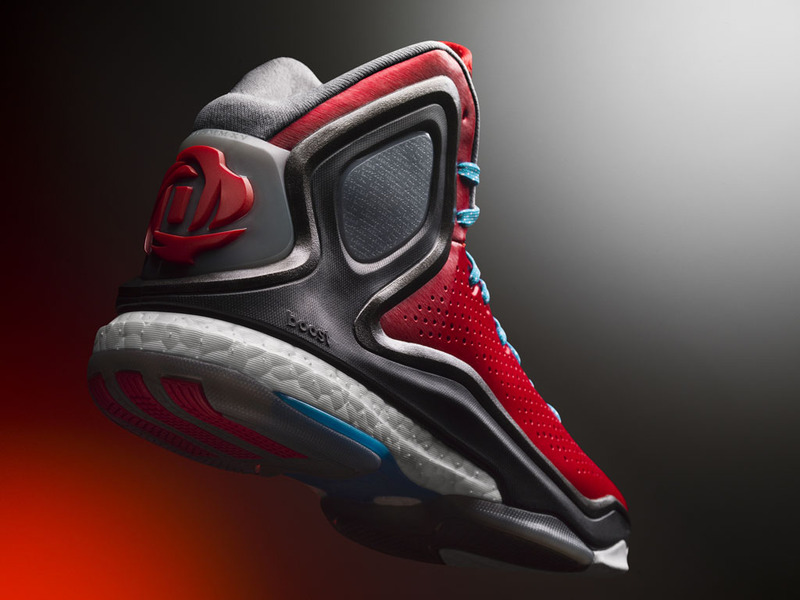 "The Crazylight Boost and D Rose 5 Boost shoes combine to bring our most innovative basketball footwear to the court to truly transform the way the game is played." 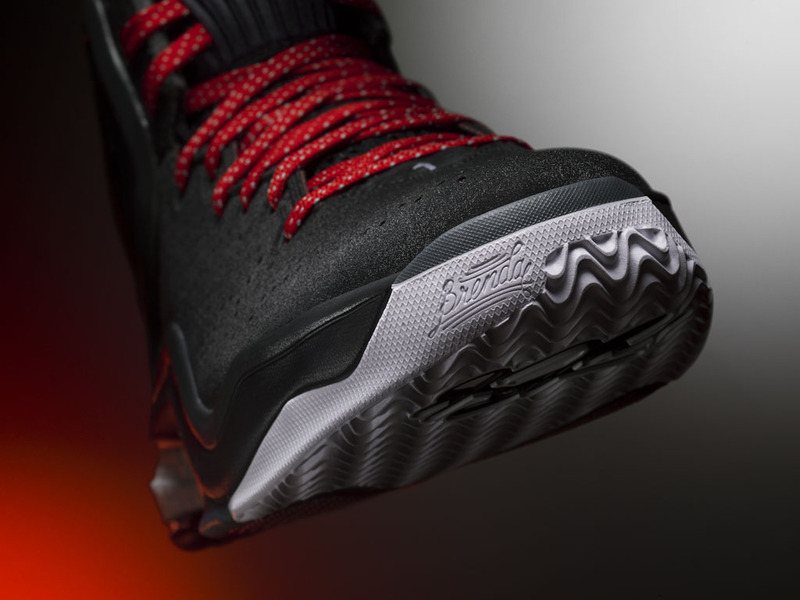 The lineup consists of ‘Home, ‘Away,’ ‘Alternate,’ and ‘Brenda’ colorways. 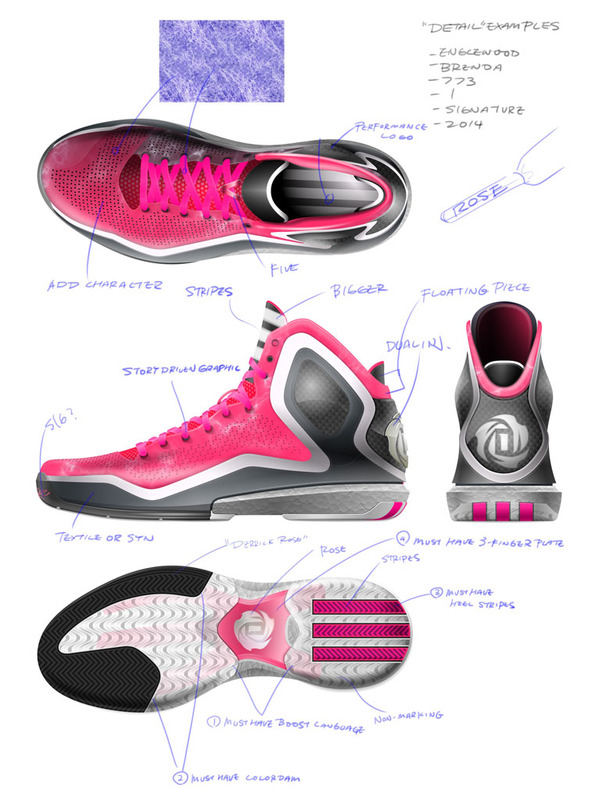 At today’s event, Fuller described the Rose 5 as Derrick’s most personal shoe to date. 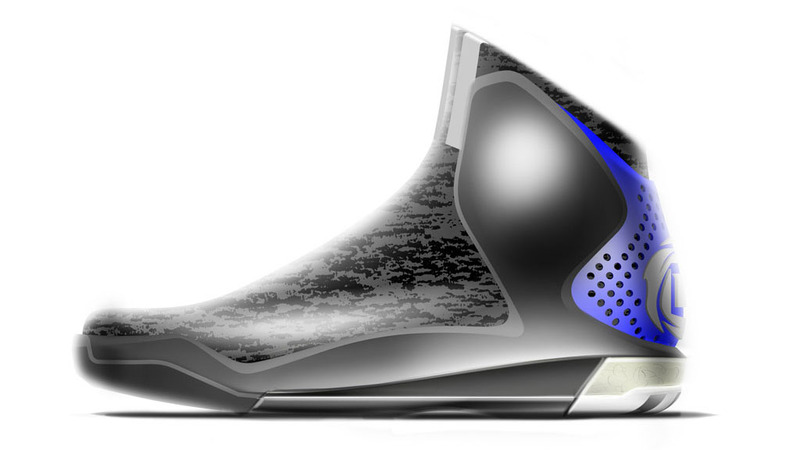 “The details come to life, but they don't overpower the shoe,” he added. 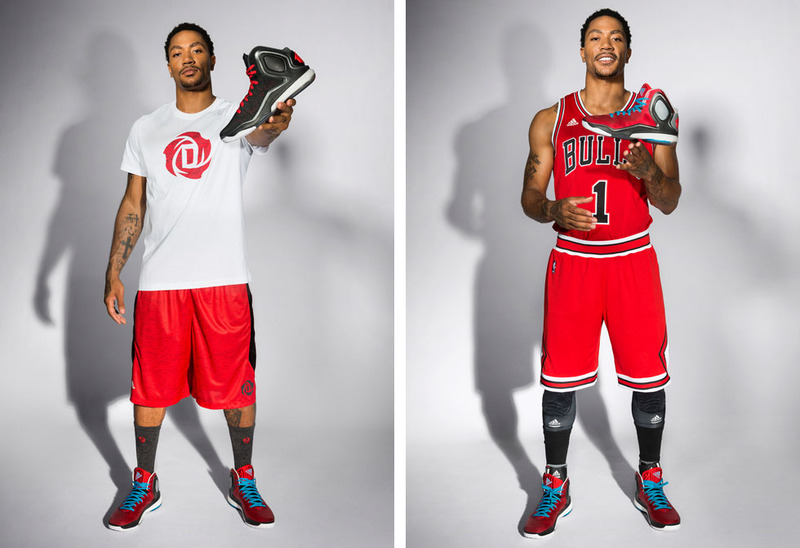 "It's an honor for them to remove the 3-Stripes and put my logo on the back of the shoe," said Rose. 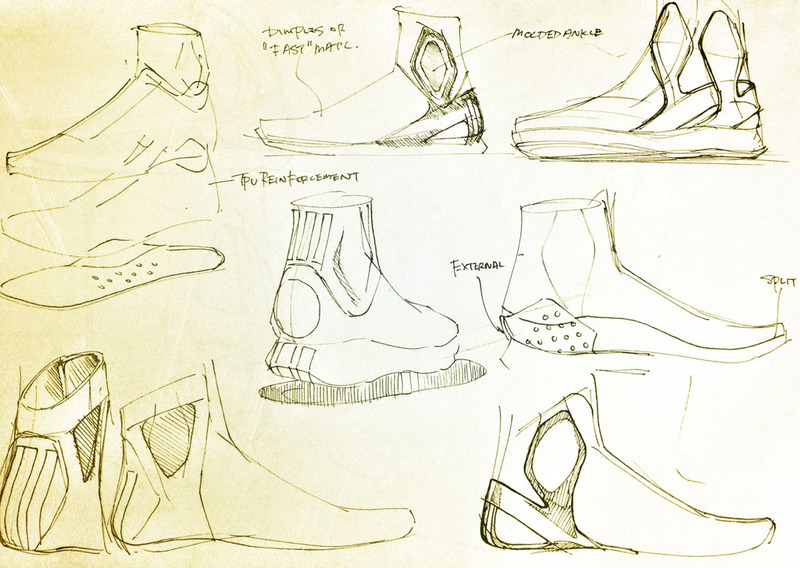 "I still get tripped out when I see people just walking around with my stuff on." 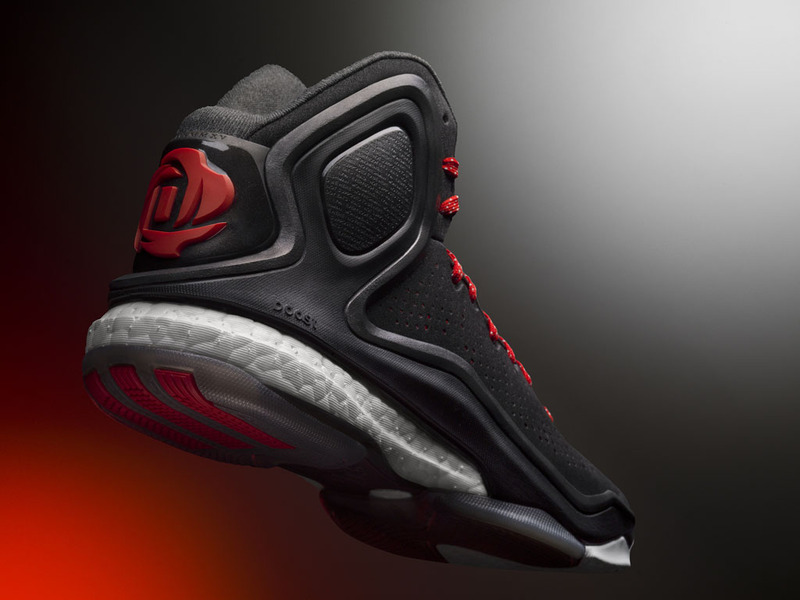 The adidas D Rose 5 Boost launches Thursday, October 23 for $140. 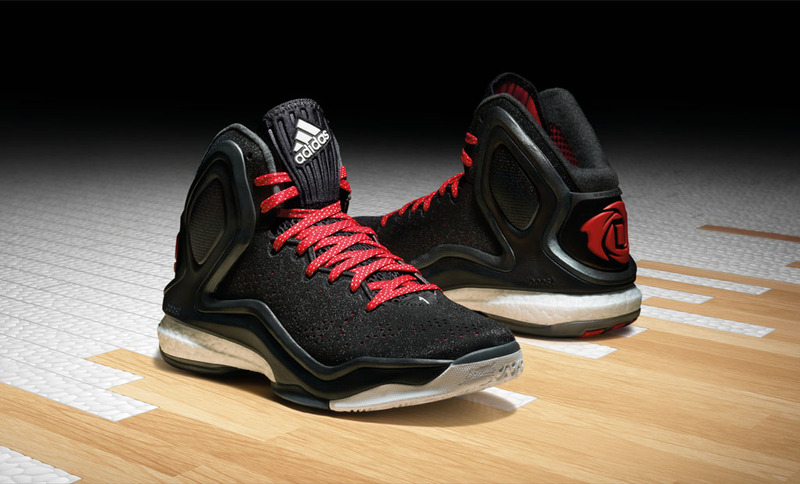 UPDATE 10/9: adidas Basketball has added a new video of Derrick Rose debuting his latest signature shoe.